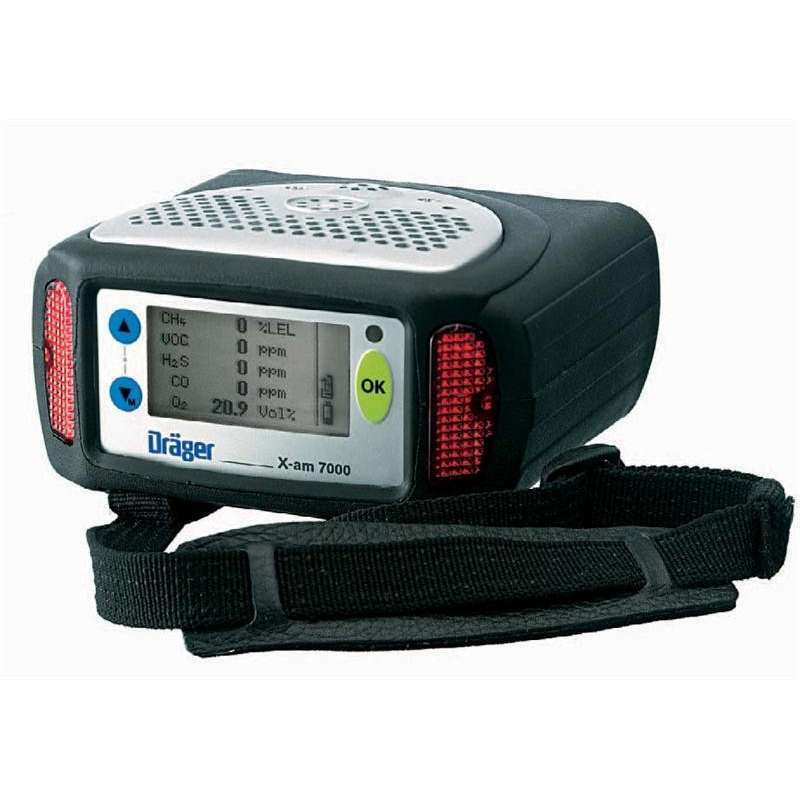 The Drager X-am 7000 Portable Gas Detector is perfectly suited to the detection of combustible and or toxic gases (including oxygen). 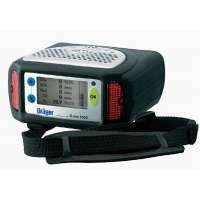 The Draeger range of detection sensors allow you to detect the presense of over 100 different gases. This highly flexible unit may be equipped with two catalytic bead, three electrochemical and infrared or ionisation sensors. Using the onboard catalytic-Ex sensor allows the user to change both the measurement range and the gas being measured. Featuring a high level of accuracy and response time coupled with long lifetime and minor cross sensitivities the Drager X-am 7000 can be instantly reconfigured by inserting one of the pre calibrated sensor units. This effectively eliminates the need for maintenance or service. These advanced features make this unit an invaluable tool in any environment where explosive or toxic gases are expected. Equipped with multiple alarm systems including visual alarm that an be seen from any point in a 360 degree radius, an extremely loud multi tone horn and optional life signal emitted regularly at 6 second intervals gives you the continual feedback needed in hazardous environments. It comes with a built in high performance pump, flexible gooseneck probe, this robust and water resistant unit is highly reliable with a long expected service life of over 4 years. It is well protected by means of a rubber boot and will survive being dropped up to 1.5m. Highly resistant to both silicon and hydrogen sulphide. This is the detection unit of choice by professionals who are in need of a high degree of accuracy and speed when confronted with the danger of toxic and potentially explosive concentrations of a wide range of gases and vapours. A large graphic display with auto-zoom function along with intuitive software functions, an integrated data logger makes this the detection unit of choice especially in the detection of gas leaks in say pipelines, valves and flanges.